This year, it was disappointing to see that smartphones in the sub-$200 segment didn’t get bigger upgrades. 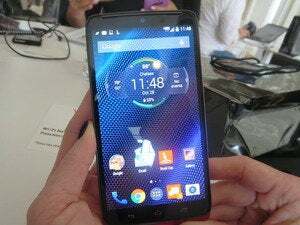 Motorola’s Moto E and the new Moto G lack LTE, and droves of competing products like including the HTC 510 and LG G2 Mini still have low-resolution screens. But next year both LTE and high-res displays will become standard features on entry-level smartphones thanks to the availability of better systems-on-a-chip, the basic building blocks of smartphones. For example, Qualcomm’s Snapdragon 200 family, which is used by devices like the Moto E and Microsoft’s Lumia 535, is getting LTE for the first time next year with the arrival of the 210 model. 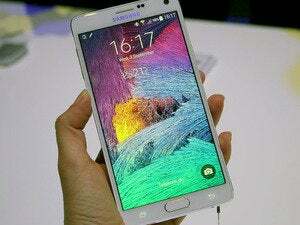 It will start powering smartphones and tablets during the first half of next year. Qualcomm isn’t the only chip vendor that’s helping bring down the cost of LTE smartphones. Competitive pressure from MediaTek is also a key driver, according to Eric Nicolas, head of the ODM device portfolio at telecom operator Orange. “We will probably get as low as €50 [US$62] by the end of next year and that’s without subsidies,” for new smartphones, Nicolas said. It isn’t just competition among chip vendors that will result in better products. A showdown between old-school smartphone manufacturers, especially Samsung Electronics, and Chinese newcomers including Xiaomi, Oppo and OnePlus will also spur better designs. Samsung’s current troubles have been well documented. More competitive entry-level and mid-range ($200 to $400) portfolios are part of its comeback plan. Samsung’s penchant for using plastic rather than metal has been its main weakness, but that has started to change. The recent launch of the Galaxy A3, which has a metal unibody, shows the company is willing to use premium materials, even on its lower-price devices, to claw back market share.